The Lifetime ISA (LISA) for under 40s that want to save for a home or retirement gives you a Government bonus on your savings. But where can you get one and is it actually worth going for? What about the Government savings bonus? What can the Lifetime ISA be used for? Are there any exit charges or penalties? Will I be able to rent out the home I buy? Can I have a pension as well? A number of new providers are offering Lifetime ISAs, giving savers more options. The Lifetime ISA, or LISA, is a tax-free savings account designed for those who want to save for their first home or retirement, that pays a 25% Government bonus every year worth up to £1,000. Investing app Moneybox has also launched an investment LISA, which can be opened on the mobile app. It joins robo-advice provider Nutmeg and more traditional platforms including Hargreaves Lansdown, OneFamily, AJ Bell YouInvest, the Share Centre and others. Anyone aged between 18 and 39 (if you turn 40 on or before 6 April 2017 you won't be eligible) will be able to open a Lifetime ISA savings account. You will be able to open more than one LISA during your life, but you will only be able to pay into one Lifetime ISA each year. You can save up to to £4,000 a year in a Lifetime ISA. There are no monthly limits on payments into the Lifetime ISA - in other words, you don't have to pay in every single month. Instead you can pay in your full allowance in a single month if you so wish. Contributions to the Lifetime ISA will count towards your overall annual ISA allowance limit, which is £20,000 for 2018/19. Savers will be able to transfer money from other ISAs built up in previous years into their Lifetime ISA, and you will be able to transfer your Lifetime ISA between providers to get the best deal. The Government says it expects up to 200,000 people to save in a Lifetime ISA in the first year (2017/18), rising to 800,000 by 2020/21. The average contribution in 2017/18 is expected to be £3,500. Those that pay into their Lifetime ISA will get a Government bonus of 25%. So, anyone that is able to save the maximum £4,000 by 5 April 2018 will get £1,000. The bonus will be paid every year until you reach 50. That means an 18-year-old could receive a whopping £32,000 bonus from the Government if they stuck with the product in the long-term. The Treasury revealed last September the bonus will be paid annually for the first year, then switch to monthly from April 2018. That's good news as it means savers will benefit more from compound growth on the bonus over the long-term. Some or all of the savings you build up, along with the savings bonus, can be paid towards a deposit on your first home located in the UK worth up to £450,000. 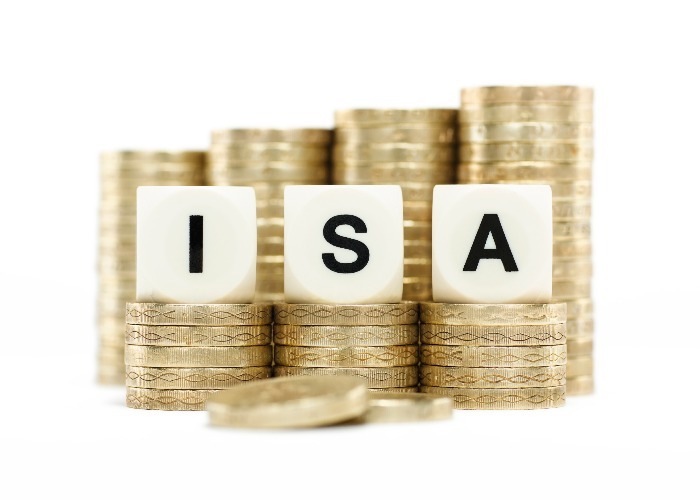 The Lifetime ISA can also be used to save for retirement. Once you turn 60 you will be able to take out all the savings tax-free. If you want to use your LISA savings for anything other than buying a home or retirement you will be hit with a whopping 25% exit fee. However, the Government has announced it will scrap the controversial fee for the 2017/18 tax year only. Why? As we mentioned earlier, the bonus is paid at year end of the first year, so anyone accessing their funds early could be hit with the Government charge up to 12 months before they receive their bonus. As such, it has decided to remove the charge for one year only. Critics, including former pensions minister Steve Webb, claim the latest change suggests the Government has not thought through how the scheme will work. "What a shambles," he added on Twitter. Those with a Help to Buy ISA will be able to save into both separately. However, you will only be able to use the bonus from one scheme to buy a house. The bonus that is not used, and interest accrued on that bonus, will be returned to the Government. However, savers who transfer their Help to Buy ISA funds will not receive the bonus if they buy a house in the first 12 months. The other benefit of a Lifetime ISA over a Help to Buy ISA is that the rules allow up to 90 days for you to withdraw funds to complete a house purchase. This allows you to use both your own contributions and the Government bonus for the initial deposit. Under Help to Buy ISA rules the Government bonus is not paid until completion of the house purchase, which might be tricky if you were hoping to use it for the ‘exchange deposit’ needed to secure your first home. The rules state the Government bonus can only be used by first-time buyers that buy a property to live in as their only residence and not for buy-to-let. But the Treasury has confirmed that the rules around the Lifetime ISA will be similar to the Help to Buy ISA. Currently the Government uses a common-sense approach if your personal circumstances change and you have to rent out your home but have used the Help to Buy: ISA bonus to buy the property. In short as long as you haven't purchased the property with the intention of renting it out you should be fine – and this rule should apply to the Lifetime ISA too. The Lifetime ISA won't impact how you can save for a pension. You can still pay into a pension and get tax relief on your contributions and benefit from the Lifetime ISA bonus at the same time. To learn more about your other pension options, have a read of our guides to workplace pensions and SIPPs, or make yourself a cuppa and read our comprehensive guide to pensions.